Dogs bark. It’s a normal, natural dog behavior. But some dogs bark too much. It’s not hard to tell the difference between occasional barking and barking that is excessive. If you have a barker, the BarkCollar can help. 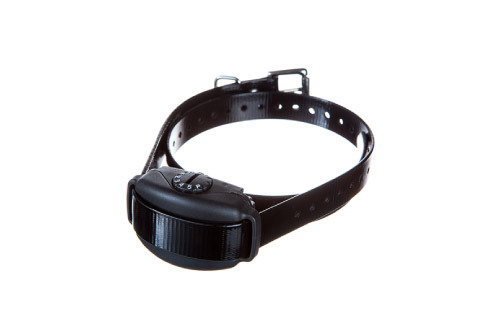 The BarkCollar™ is designed to change your dog’s barking behavior. If your dog barks excessively, the BarkCollar delivers a vibration or stimulation at a level that is just enough to distract your dog and break the barking cycle. 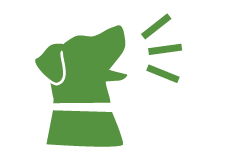 Excessive barking can cause tension between you and your dog, family, neighbors and other pets. The BarkCollar will help channel that energy into playing, not barking! "I wanted to bring my dog to work with me, but her frequent barking was a problem. With the BarkCollar, she limits her barking to an acceptable level. Now I can have her with me all day and get my work done. She is a happy addition to the office!"